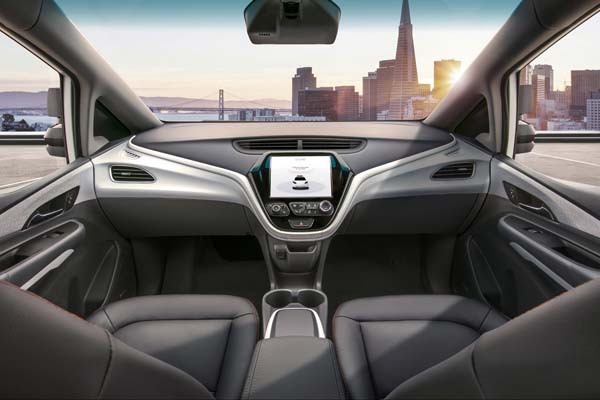 GM’s Cruise AV, slated for production in 2019, will be the first production-ready vehicle built from the start to operate safely on its own, with no driver, steering wheels, pedals, or manual controls. Photo courtesy of General Motors/Cruise Automation. Carmakers in North America, Europe, and Asia are doing a lot of things today that they’ve never done, or even attempted to do, before. When you consider that the crown jewel of their research and development efforts—self-driving cars—is rewriting the rules of how cars are designed, manufactured, and used, that starts to make more sense. Self-driving, or autonomous, cars are part of a larger trend currently sweeping the global automotive industry: the development of what are known as ACES—automated, connected, electric, and shared—vehicles. In a major announcement last March, General Motors said that it plans to begin producing self-driving cars, without steering wheels or pedals, in 2019. Along with the car, GM plans to start a commercial service centered on an app that enables people to hail rides. General Motors isn’t the only automaker investing heavily to bring connected and automated vehicles to market. Ford said in November that it expects to invest $4 billion in autonomous vehicle development through 2023. That total includes Ford’s $1 billion investment in Argo AI, a company working to build a self-driving system—the software, sensors, and computer system that will be integrated into a self-driving vehicle. But Brett Smith, director, propulsion technologies and energy infrastructure at the Center for Automotive Research (CAR) in Ann Arbor, Michigan, sounded a cautionary note when commenting on the magnitude of investments going into the development of automated and connected vehicles. “There’s an incredible amount of investment by the auto industry that’s going into a technology that may not be a near term profit center,” Smith said in an interview. Eric Dennis, senior transportation systems analyst at CAR, agreed. “There’s billions—tens of billions—of dollars being invested at this time in next generation technologies for both connectivity and automation,” said Dennis. “Some of that will be available on cars in the next few years—driver assistance [technology], automated emergency braking, things like that. But the biggest investments are for full automation—actually trying to put driverless taxis on the street—and many of the largest OEMs have made promises or projections to actually have scaled services—driverless services—within the next two, three, four years. 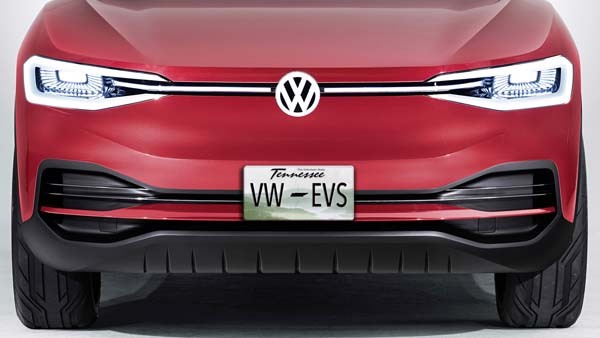 Chattanooga, Tennessee will be Volkswagen AG’s North American base for manufacturing electric vehicles (EVs), the company announced in January. Volkswagen will invest $800 million in its Chattanooga facility, creating 1,000 jobs at the plant and additional jobs at suppliers’ facilities, the company said. Photo courtesy of Volkswagen AG. In the meantime, automakers and technology developers are ramping up investments in manufacturing facilities dedicated to producing electric vehicles (EVs) and related technologies. Ford announced in November it is investing $11 billion in electrification from 2015 to 2022, with plans to deliver 40 vehicles globally. The company said it remains on track to deliver a full battery-electric, performance SUV with a minimum 300-mile range in 2020. General Motors said it will double the resources it allocates to electric and autonomous vehicle programs in the next two years. Volkswagen reported in January that it will begin manufacturing electric vehicles at its facility in Chattanooga, Tennessee in 2022, on the strength of an $800 million investment that is expected to create 1,000 jobs. And South Korea-based SK Innovation, a developer of lithium-ion batteries for electric vehicles, said it will commit $1.67 billion to the construction of a new EV battery manufacturing plant in Georgia, an investment that could create more than 2,000 jobs. The development of ACES vehicles raises a host of questions about their potential impact. For example, how will ACES technologies force automakers to rethink their design strategies? One of the key differences between ACES vehicles and traditional, individually owned cars will be their dramatically different rates of use and occupancy within a given period. Shared vehicles log more miles on the road each day while carrying greater numbers of passengers than individually owned cars, which tend to sit idle for longer periods of time. That’s why researchers at The Center for Automotive Research believe the move toward ACES vehicles will encourage the design of more durable components that can better withstand repeated opening and closing of doors, for example. Also, light-weighting strategies have been a big part of automakers’ efforts to meet fuel economy requirements in recent years. But the emergence of automated, connected, electric, and shared vehicles gives automotive OEMs new reasons to design parts that weigh less than their predecessors. That’s because these new vehicles will carry batteries, sensors, and various other components that add weight to the vehicle, according to CAR. Although R&D goals are shifting the industry in new directions, automotive customers are still holding fast to the classic, fundamental requirements that they’ve long demanded from their supply base. Product demands may change, but cost pressures persist. And requirements for top quality remain non-negotiable. Beller’s employer, The Weiss-Aug Group, encompasses four companies that serve the automotive, aerospace, and medical industries. Weiss-Aug Co., Inc. (East Hanover, New Jersey), a provider of custom insert molding, precision metal stamping, and assembly services, was founded by its current chairman, Dieter Weissenrieder, in 1972. JK Tool Inc. (New Kensington, Pennsylvania), designs, engineers, and manufactures precision progressive die stamping tools. 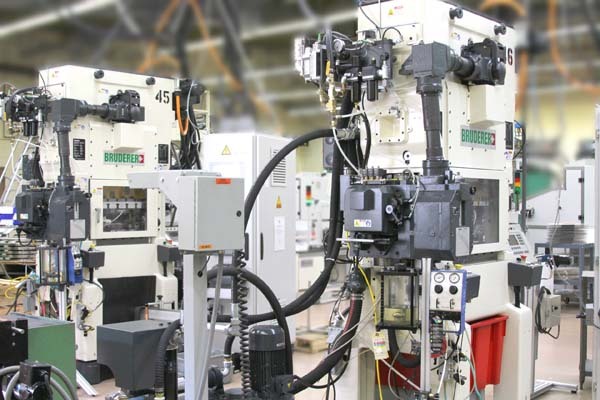 The Diemasters provides medium-gauge complex stamping, fabrication, and assembly at its 80,000-square-foot manufacturing facility in Elk Grove Village, Illinois. Weiss-Aug Mexico, established in 2017, supports assembly and injection molding programs and is planning to expand its capabilities to include insert molding and metal stamping. Weiss-Aug uses state-of-the-art stamping presses to deliver high quality stampings for automotive programs. Photo courtesy of Weiss-Aug Co., Inc. In recent decades, as more and more companies sought lower-cost tooling and parts manufactured in China, the shift in demand away from North America made it difficult for many U.S. companies to survive. Now, as the pendulum swings back toward local sourcing, the automotive industry remains extremely price-sensitive, even as automakers turn up the heat on quality. That’s especially true of one segment of the automotive market—Beller called it standard technology—that uses design approaches and manufacturing processes already in production for some time. These technologies are well understood by the supply base and by customers, and they are often used to produce commodity-type parts. Another segment of the market—advanced technology—is viewed differently by automotive customers. In this segment, innovation and a supplier’s abilities to produce more sophisticated products and provide levels of design and development service take precedence over price, Beller said. “Advanced technology is really taking hold today at an increasingly fast pace, where, from a design perspective, carmakers are doing things that they haven’t done before. In those areas, there’s more focus on innovation and your fundamental capability to provide a product that’s going to meet their application requirements. So, they’re less price-sensitive than they normally would be,” he said. Michael Eck, mold engineering manager at Weiss-Aug, agreed that for most automotive work, customers expect a competitive price, as well as quality parts. It’s just that “competitive” for automotive customers isn’t necessarily the same as for other industries. Eck added that as automotive customers develop new products, many of them are now relying more heavily on Weiss-Aug’s engineering know-how. Today, the dynamics of how a vehicle is designed and functions are changing rapidly, opening the doors to new opportunities for companies throughout the automotive value chain. Beller said that Weiss-Aug is well-equipped to handle the dynamic demands of a changing automotive industry. One of the reasons is the company’s philosophy of using state-of-the-art equipment. Another thing that customers would see when walking through a Weiss-Aug plant is automated inspection. 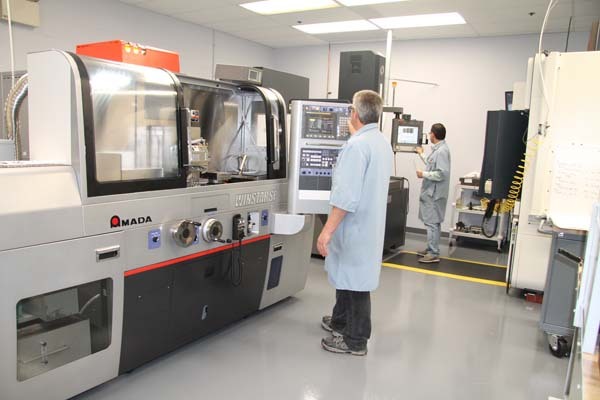 Weiss-Aug’s CNC Technology Center supports tool building and testing. Photo courtesy of Weiss-Aug Co., Inc. In an intense race to put their vehicles on the road faster than their competitors, automakers today are highly focused on reducing time to market. They’re seeking suppliers who offer prototyping and can, in short order, put a part in their hands to evaluate and test. That demand is intensifying today as the industry pivots from gas-powered engines to electric, connected, and autonomous vehicles. In this technological shift, more companies are doing advanced research and development work that requires prototyping and various phases of testing. Recognizing these trends, Weiss-Aug invested heavily in equipment that meets customers’ needs for getting prototype parts quickly. Those machines, coupled with the company’s engineering talent, are key to handling the dynamic demands of a changing automotive industry. Beller, who has a bachelor’s degree in mechanical engineering from the University of Michigan, said the company has dedicated resources throughout its new product development (NPD) area for advanced development work. Weiss-Aug isn’t afraid to invest in new technology to keep up with automotive customers’ changing needs. 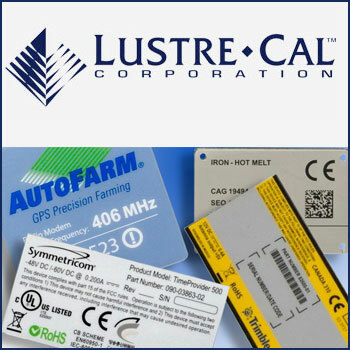 The company is currently investing in laser technology for manufacturing prototypes and is experimenting with the technology to manufacture tools. It’s also looking at using metal injection molding (MIM) technology going forward. 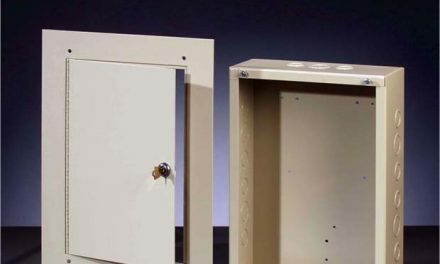 “All of these things come to bear when we look at any particular design or technology as it relates to our ability to meet the customer’s part requirements,” Beller said. In its high-precision hard mill room, Weiss-Aug can produce tooling or parts to exacting tolerances with state-of-the-art equipment at the leading edge of accuracy in tool manufacturing. Beller credited the company’s owner and founder, Dieter Weissenrieder, for Weiss-Aug’s strong emphasis on toolmaking. The company continues to design and build progressive dies in North America at a time when stamping companies throughout the industry are finding it difficult to hire young talent to replace retiring toolmakers. Weiss-Aug started an apprentice program to help train workers for the trade. The company opened a facility in Mexico a few years ago to service the needs of medium- and lower-volume customers who may not want to make the heavy investment in equipment because the demands aren’t there, or their market application is still emerging. “They may be uncertain as to what their demands are going to be, long term, so they may just want to go with a semi-automated or manual insert process,” Beller said. Beller added that Weiss-Aug has a broad range of experience and know-how in working with various exotic and standard materials, for both metal stamping and insert molding. That’s important, he said, when doing design and development work with customers because, in many cases, they’re looking to push those materials to their limits. Brett Smith, of the Center for Automotive Research, said one of the challenges facing the automotive industry is that traditional automotive companies—the established players in the industry—have a different awareness of and tolerance for risk than many of the tech companies that are now part of the new automotive ecosystem. “There’s a different awareness of risk, driven, I think, in large part by tech companies saying ‘Hey, we’re going to push this technology.’ Whereas, the car companies have a much more cautious vision forward, realizing the damage one bad lawsuit could bring against a company,” Smith said. In recent years, catastrophic incidents from vehicle rollovers to exploding airbags have turned the spotlight on tragic consequences of defective parts. The fallout from these incidents and fears of liability have driven automakers to put even more pressure on suppliers. When all is said and done, how are suppliers able to meet customers’ demands for high quality when facing so much pressure to lower their price? Beller said that it comes down to finding the right ingredients for success. In this case, it’s disruptive technologies—particularly around autonomous driving and electrification of a vehicle’s systems and subsystems. Weiss-Aug has already manufactured venting components for electric vehicle battery packs, as well as some subcomponents and assemblies for charging systems. “Disruptive technology and forward technology provide you with the opportunity to effectively compete in those market spaces,” Beller said. “If you’re dealing in commodity type product on a contract manufacturing basis, customers are easily able to shop for the best prices on a global basis. Then when you move to forward technology, where prototypes and creativity are required, it eliminates a huge portion of the potential supply base because development is very difficult to do on an international basis, with language and time variations. Usually, customers cannot tolerate the delays associated with those inconveniences, so they prefer to work with local sources. And because it’s new technology and they [customers] are not as familiar with it, they tend to be much more sensitive about your capability and your competency to make a successful product for them and develop the process. —Ken Beller, vice president, Weiss-Aug Co.
One reason why innovation is accelerating is that electrification isn’t just about the propulsion systems of electric and hybrid vehicles. Although its impact is just beginning to be felt, the development and manufacturing of electric, autonomous, and connected vehicles is already reshaping the traditional automotive supply chain, creating needs for tech companies with expertise in software, electronics, machine learning, and artificial intelligence. It’s also opening a world of opportunity for smart, capable contract manufacturers who can help OEMs develop the components needed for entirely new automotive designs. Beller described the impact he’s seeing throughout the value chain. “Let’s take a steering system, where you had a hydraulic pump and hydraulic lines that are providing the driver-assisted power steering, and you make that system electrical,” he said. “When you introduce disruptive technology, when you electrify a system that previously had a different design approach, what happens? Suddenly, the hydraulic lines, hydraulic pump, and a master cylinder—all these things that the OEM was procuring—have now changed. Now he has to go buy an electric motor, and he needs high-power interconnects and wires and all these things that before weren’t required in the system. So, he is forced to establish supplier relationships with a whole new set of suppliers that he hasn’t worked with before. Therein lies an opportunity for a company that’s quick to recognize those opportunities and to spring into action and provide support to them. That’s all changing now, Beller said. To develop the subsystems needed for electric and autonomous vehicles, OEMs and tier suppliers need to work with suppliers that can not only prototype, but provide design, development, and manufacturing services in areas like custom stamping and insert molding. Given the changes that are sweeping the R&D side of the automotive industry, Beller believes that Weiss-Aug’s stamping and insert molding prowess for electrical applications is well-aligned with emerging needs.